Fiji. Melbourne. Jakarta, Kyiv. Kampala. Tajikistan. Accra. Istanbul. Paris. Lisbon. Bogota. San Francisco. On Saturday, we called on people everywhere to Rise for Climate -- and over 250,000 of you responded. It was amazing to watch. 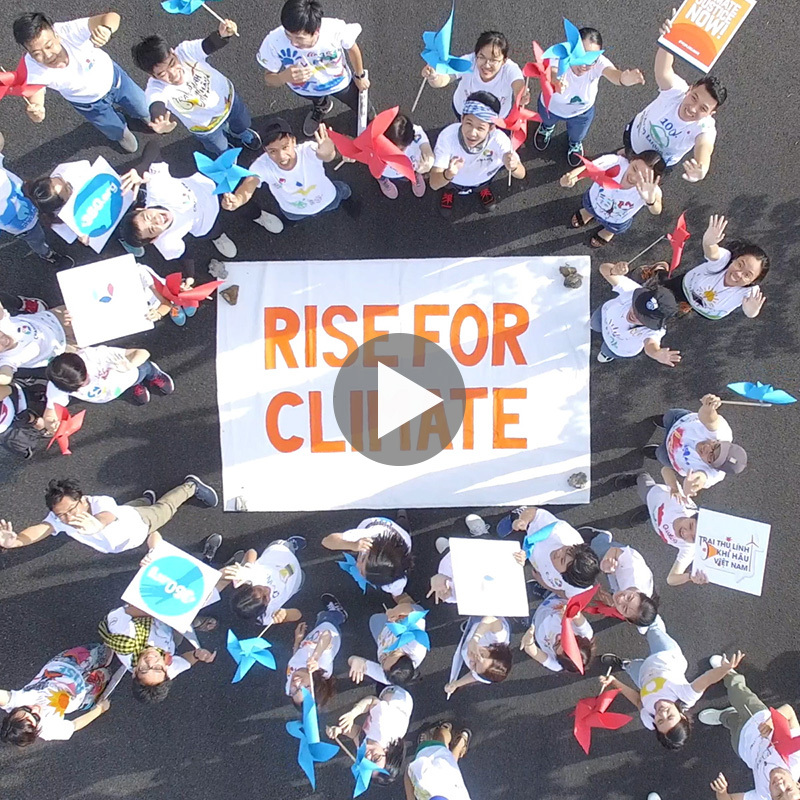 Watch and share the video of all the amazing #RiseForClimate actions across the globe. Whilst most world leaders aren't tackling the climate crisis with any true urgency, hundreds of thousands of people took part in Rise for Climate this weekend to showcase an alternative vision of a Fossil Free world. In 95 countries, you led the way towards keeping fossil fuels in the ground. Together we showed the gap between the people and national leaders, and how we can drive forward the bold local... commitments to build the Fossil Free world we need. Science and justice demand nothing less of us. We’ve shown that we can re-write the story of the future we want, and that there's bigger, bolder, more beautiful climate movement rising around the world. PS. Look out for more videos and stories from the day coming soon, and what happens next!